Playing with some die cuts and stencilling today. 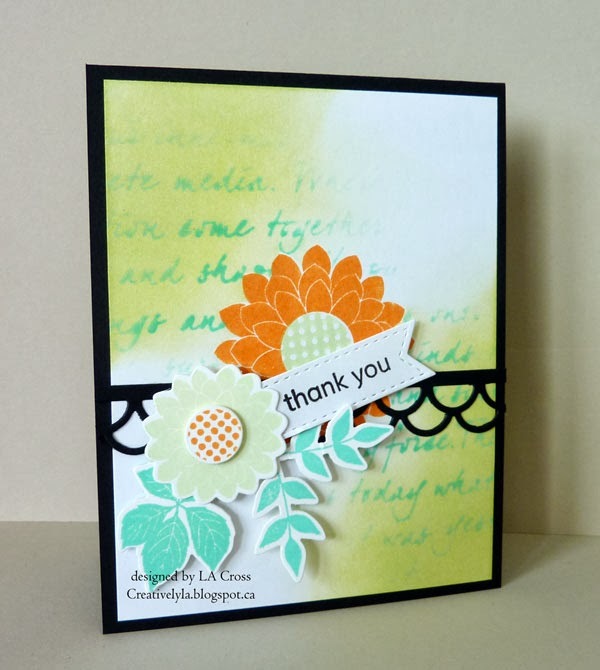 I stamped the orange flower, masked it and then stencilled the script images in the corners. Once that done, I also sponged some green in the two corners. Then comes the die cut scallop in black. Next, another stamped and die cut flower, then some stamped and die cut leaves. 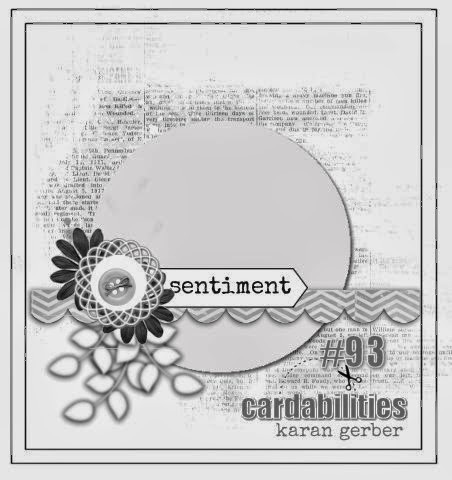 And finally another die cut with the sentiment all layered with dimensionals and done! WTG using the colors and sketch! Lovely card! Thanks for joining in at both Cardabilities and JUGS! Fabulously done, Lee-Anne. Great use of the colours and love the flowers 🙂 Thanks for joining us at Just Us Girls. Beautiful card! Love how you used the inspiration photo to create this beauty! Thanks for playing with Just Us Girls! 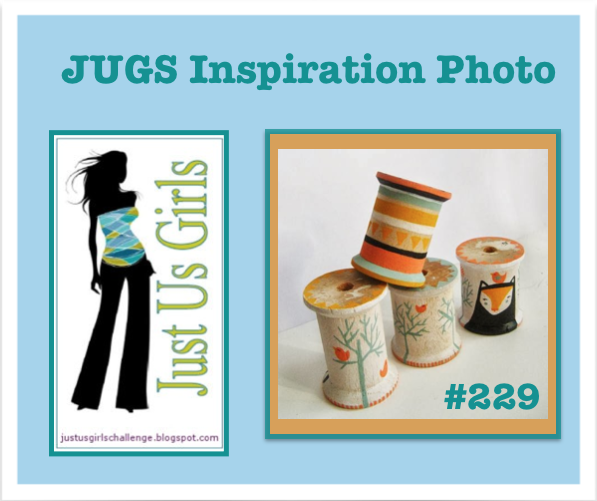 Nice job with the colors..it matches the photo this week at Just Us Girls perfectly! Really like the blurred text in the background! Thanks for playing with us! Great use of colors! Very pretty card! Thanks for joining us at Just Us Girls! very beautiful! Thanks for playing along with us at Cardabilities! Love the colour of your card! Thanks for joining us on Cardabitilites! So beautiful and cute card! 🙂 Thanks for playing along with us at Cardabilities! Great take on the sketch and sweet colors. Thank you for sharing your amazing card with us at Cardabilities. Beautiful! I love that background and those beautiful flowers. Great job on the inspiration photo. Thanks for playing with us at JUGS!